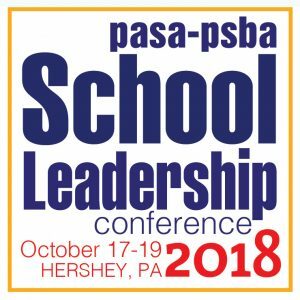 PSBA is the association of public school leaders, advancing excellence in education through superior training, vital services and powerful advocacy. Providing superior insurance services and programs designed specifically for the unique needs of Pennsylvania’s member school entities. A daily e-newsletter that delivers news stories from around the state and important updates from your association. A biweekly program companion to your Daily EDition e-newsletter. CM Regent Insurance Company and CM Regent Solutions are wholly owned subsidiaries of Church Mutual Insurance Company and are PSBA endorsed. By leveraging their parent company’s strengths and expertise, CM Regent Insurance Company and CM Regent Solutions will continue to provide protection choices to meet the unique needs of your school district, college or university. The Keystone Purchasing Network (KPN) is a cooperative purchasing program administered by the Central Susquehanna IU 16 that offers many valuable pre-bid contracts for school districts that will save them time and money on their procurement. Contracts cover supplies, furniture, roofing and building envelope services, athletic fields, tracks and courts, modular classrooms, athletic field lighting, HVAC, electrical, plumbing and general construction services, flooring, building security systems and much more. Our K-12 designs convey our understanding that today’s educational environments are sustainable/high-performance facilities that can influence the learning process by actively engaging and motivating both teachers and students. Together with our educational clients we design higher performing schools that make teaching and learning exciting and keep your educational best practices in the lead. PEPPM is another cooperative purchasing program operated by the Central Susquehanna IU 16 that offers more than 300 different manufacturer lines of technology products. Managed print service contracts also are available.